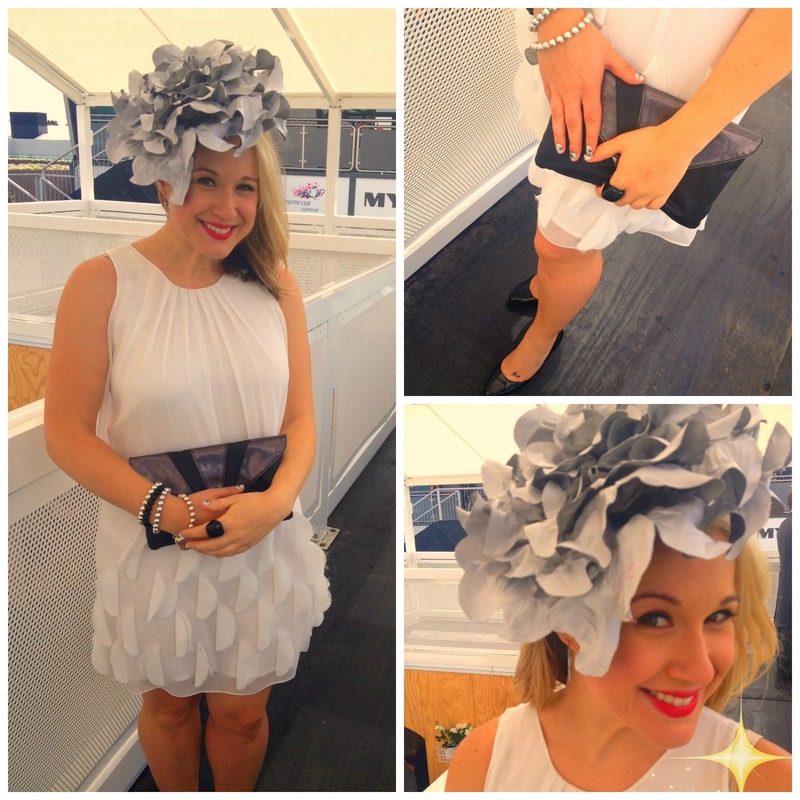 Derby Day literally blew into Melbourne on Saturday with all the glitz and glamour of the Spring Racing Carnival! In good ol’ Melbourne weather tradition the day before was a gorgeous and balmy 30° and then Saturday was stormy and grey – just check out those clouds! With a slight hiccup to my outfit (having to add a coat was not a winner in my eyes!) 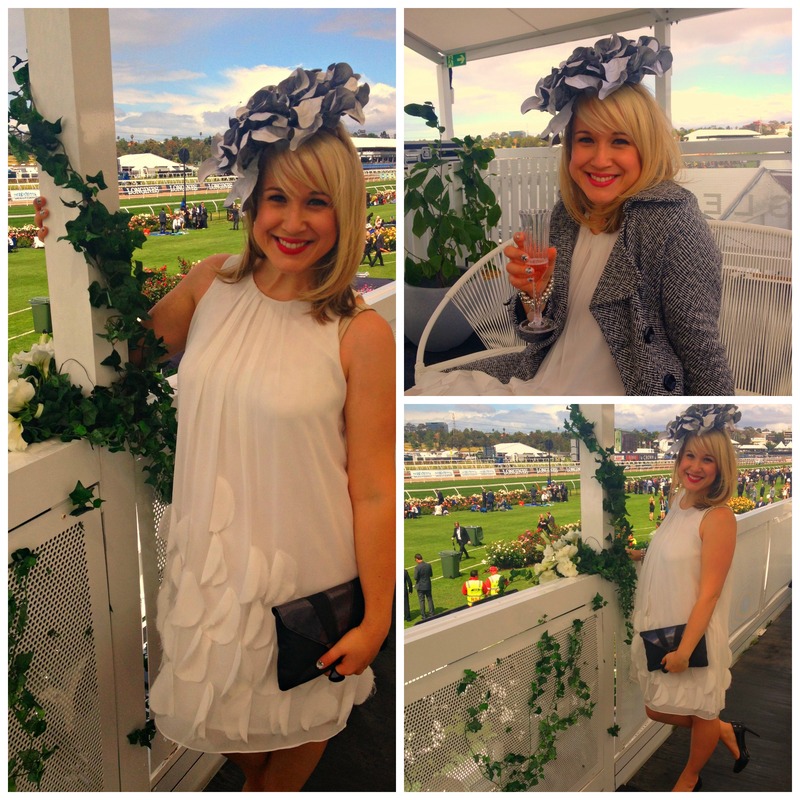 the girls and I had a lovely, but cold, day out at Flemington Racecourse people watching and sipping on a few champers. 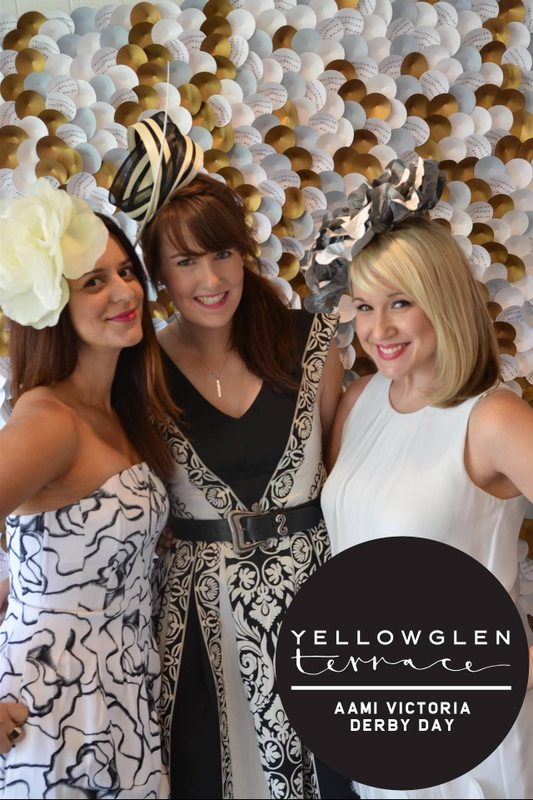 Let’s face it, most of the attendees weren’t there to watch the horse races, it’s all about the FASHION! 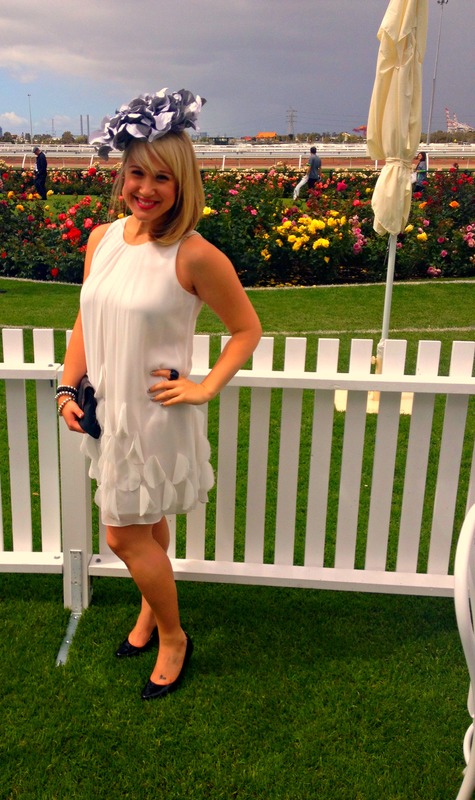 Derby Day is the first race day of the Spring Racing Carnival in Melbourne. Traditionally black and white are the colours and if you dare you may add a splash of red to your outfit. Well, we saw some definite breaking of the rules of the dress code, lots of neons and colours well outside of the monochromatic spectrum. And don’t get me started with the hemlines on some of those dresses and the amount of BOOBAGE I saw was also a little alarming!! As with Caulfield Cup I chose to shop my wardrobe for my OOTD, and in this case I shopped my sisters wardrobe – thanks Tina! I wore a Nicole Finetti white dress teamed with my Coach heels and a Kmart clutch, who says you can’t team high end and bargain pieces? All finished off with a one of a kind Brock&Eddie headpiece. Isn’t it gorgeous?! Erin’s apprentice (ahem, her mum) made this particular headpiece with silk dupion and it was exactly what I had in mind when I was envisaging my outfit. I wanted it BIG, BIG, BIG!! Taking these OOTD shots was an ordeal, I can’t even count the number of times my headpiece blew off – it was that windy and blustery. Thankfully the VRC put together a little gimmick with Gentlemen to Help – where dashing and dapper young men with bookie bags roved around the grounds helping out women with their fashion needs. They were handing out bobby pins and shoe inserts and also had hairspray and safety pins on hand, such an ingenious idea! We ravaged their stock of bobby pins and Erin was able to pin the crap out of my headpiece and problem solved! 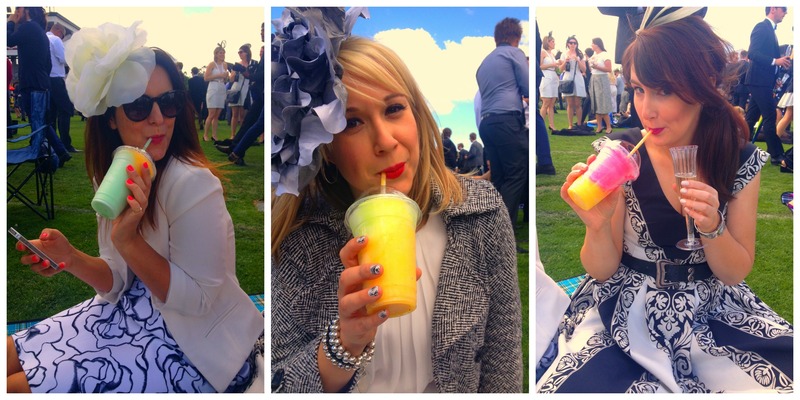 Did you make it down to Derby Day? Did you get blown away like Dorothy?? Fingers crossed the forecast for tomorrow’s Melbourne Cup is correct and the gorgeous Spring weather finally comes through. Happy Monday dollface! Oh lady now I want the other fascinators!! Gorgeous ladies!!! I didn’t even notice the clouds, as you are like sunshine! 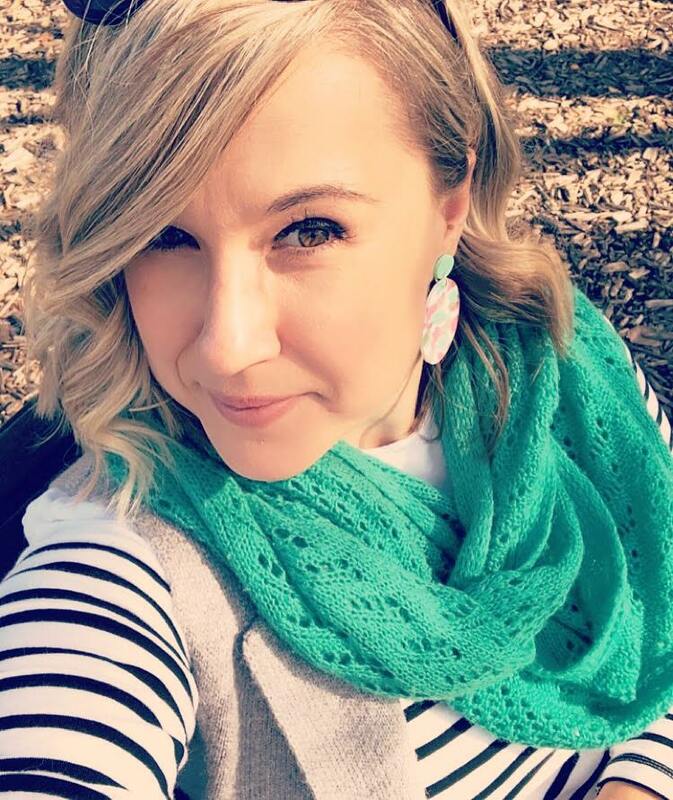 The headpiece – gorgeous! And those Coach heels – yessss!!! 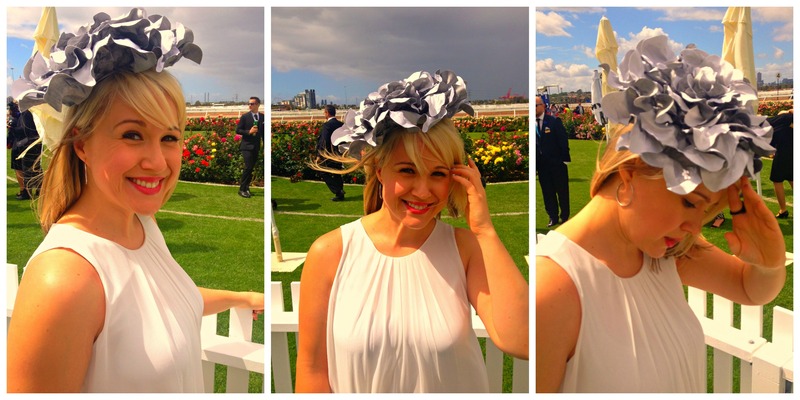 Apparently, the Melbourne Cup is about fashion, if they had peeps handing out things like bobby pins and the like! You all look gorg! Wish I was there with y’all! This Glamour level is a solid 10. 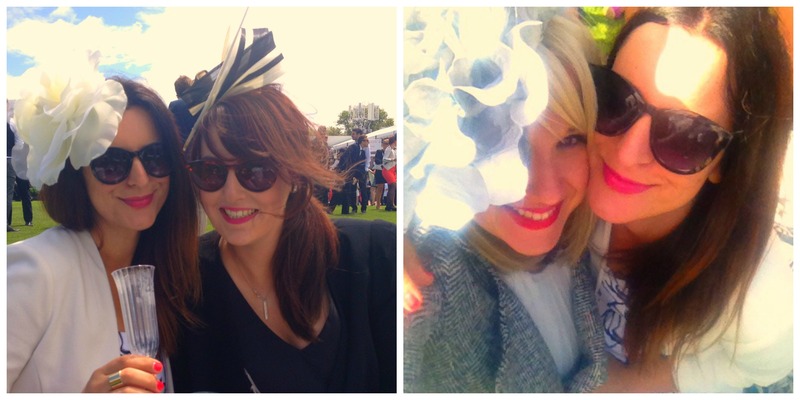 A DANDY DERBY DAY !